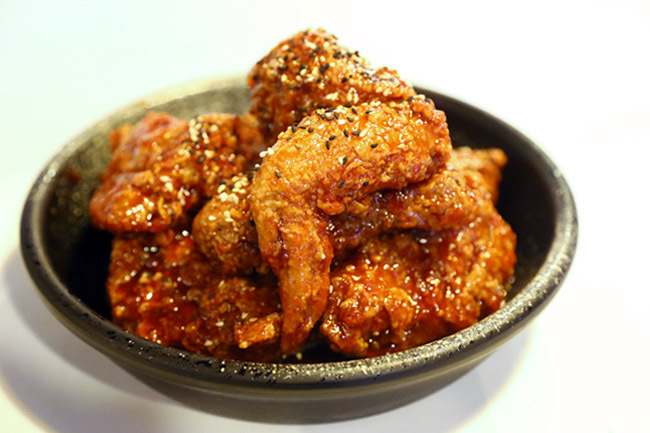 Another Korean Fried Chicken restaurant in Singapore, this time at Bukit Timah Chun Tin Road. 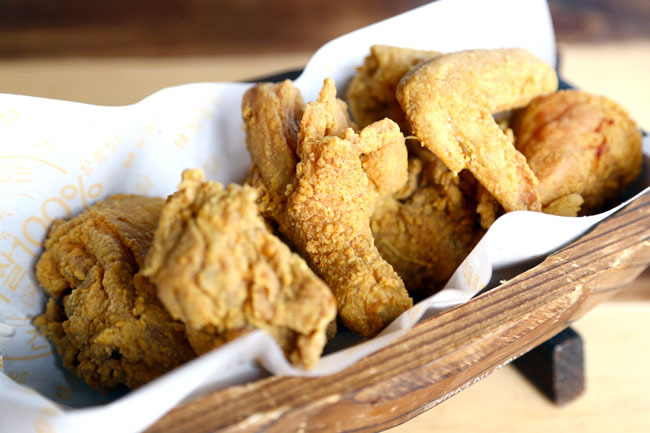 My foodie friend told me that his Korean colleagues swore by Oven & Fried Chicken at Telok Ayer, declaring that it was the closest to what they get back home. 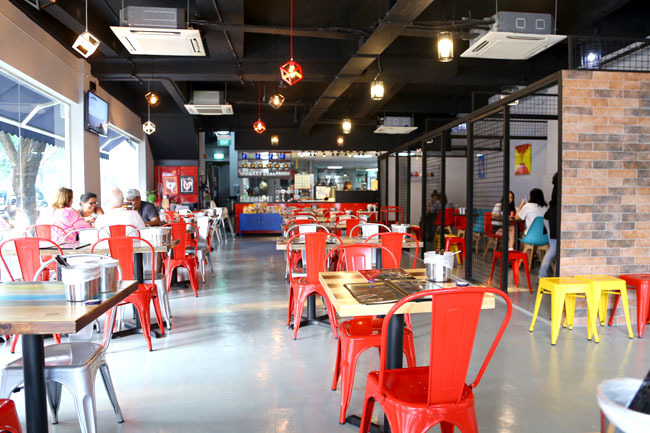 Well, OFC has opened its second outlet, with another Korean family restaurant Three Meals A Day as direct neighbours. Some introduction of the concept to let you have a clearer understanding of its menu: The Korean chicken bistro is made up of two separate brands: Okkudak and Ssal Dak. 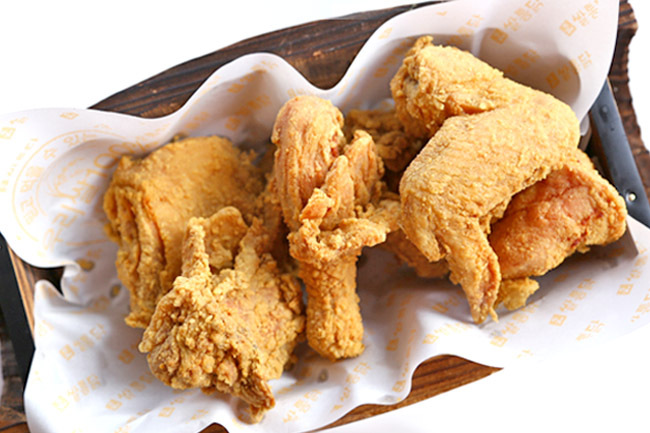 With rice flour used to coat the chicken before frying, there seems to be a thicker and dry-crispy outer layer. Even when I used hands to eat it (no gloves given), the fingers and lips didn’t’ feel greasy at all. On the flip side, I found myself getting thirsty easily, throat feeling parched. 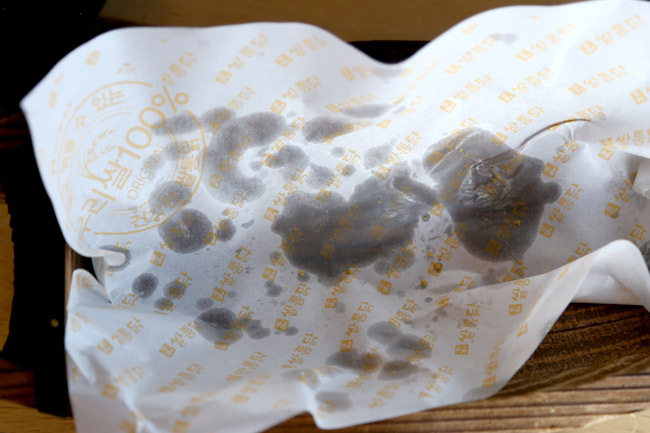 Check out the absorbent paper at the end of the meal. The meat was moist, though I found it moderately lacking in flavours, and often needed to dip parts into the sauce (mild sauce and honey mustard were recommended) for some taste. Is there something called ‘over-sauced’? 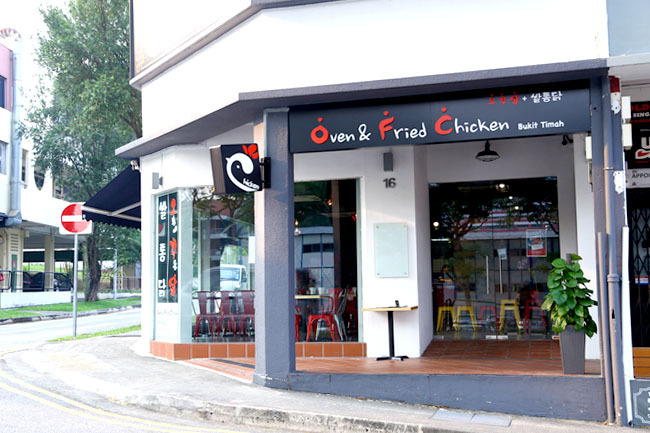 OFC’s popular option is to have the ‘Fried Rice Chicken’ seasoned with various sauces such as Spicy, Jambalaya, Soy Sauce and Padi Garlic ($20 for half, $35 for whole). The sauce was appetizing and greasy. But perhaps there was just too much of the coating, it masked the taste of the chicken and made eating rather ‘jelak’ (too rich) after just two pieces. Maybe this would please those who loved licking sauces off fingers. Slurp. Stormscape went on another visit and found it “OMG SPICY” (the spiciest he had in Singapore) and had to stop halfway. 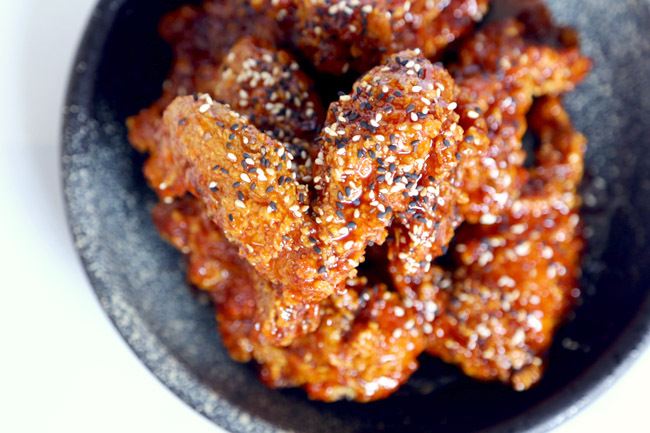 Comparing to other “Best Korean Fried Chicken In Singapore”, I would rank Oven & Fried Chicken somewhere above the middle. Thank for sharing this place. So delicious food.